It is estimated that 40% of the population over the age of 50 is deficient in vitamin D. Recently, researchers have had a renewed interest in this nutrient, finding it provides various benefits to health not previously known. 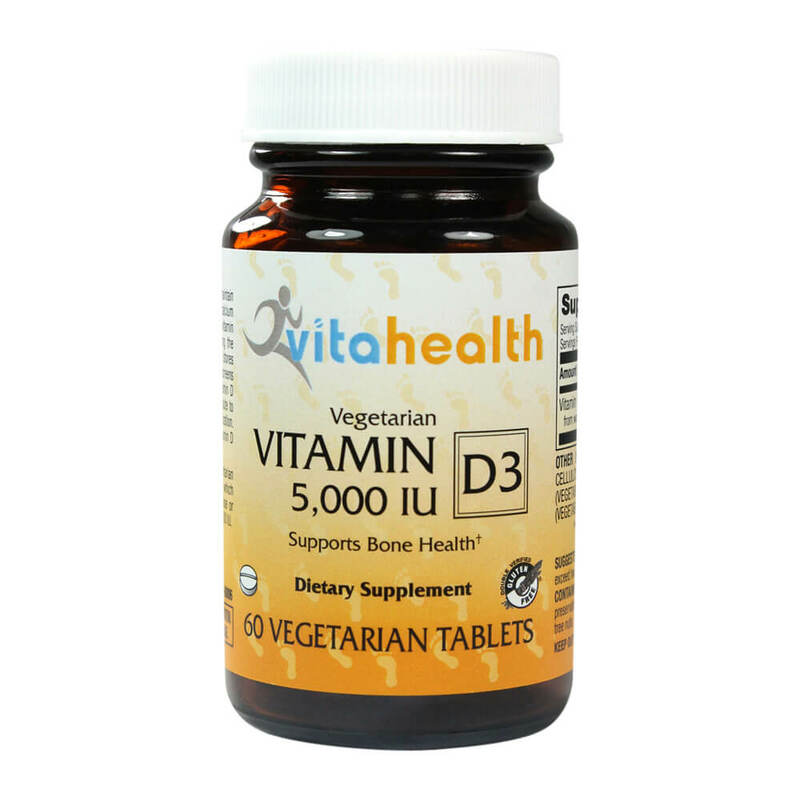 Vitamin D helps maintain healthy bones by stimulating the absorption of calcium in the body. Without it, the body is unable to utilize the calcium supplied via the diet or supplements. Recent research has found correlations between low vitamin D intake and higher rates negative health issues. Even though the RDA is set at 400 IU, many experts now recommend much higher doses, especially for those at risk for deficiency such as the elderly or that lack sun exposure, and those who do not consume enough vitamin D-rich foods. Take one tablet daily with food; do not exceed two tablets per day unless directed by a physician. Cellulose, Modified Cellulose Gum, Silicon Dioxide, Stearic Acid (vegetable source), Magnesium Stearate (vegetable source).